Evangelicals have a history of misinterpreting the apocalypse. Some of us mine the ancient texts for clues to our march toward destruction. Some of us throw up our hands and prefer to speak of the eschaton in general terms. 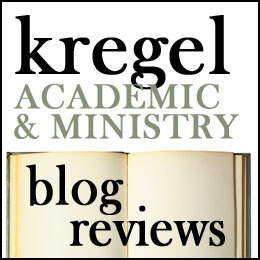 Kregel Academic has these helpful exegetical handbooks which walk pastors and students through a genre of Scripture with some suggestions for digging deep into the text—studying, interpreting and proclaiming. I have reviewed a previous volume of the Old Testament Exegetical Handbooks before in a related domain,(Interpreting the Prophetic Books, 2014). 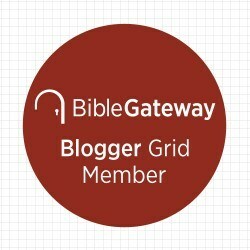 But Interpreting Apocalyptic Literature is different because there is no apocalypse section of the Old Testament but it is in parts of the prophetic books and extrabiblical literature. Richard Taylor highlights where apocalyptic appears in the Prophets (especially the latter half of Daniel and Joel but also passages in Isaiah, Ezekiel, Zechariah, Malachi) and other Apocalyptic literature (e.g. The Book of Enoch, Jubilees, 4th Ezra, 2nd Baruch, the Testament of Moses, etc). Taylor is the senior professor of Old Testament at Bethel Seminary in Saint Paul, Minnesota. His research interests include Aramaic studies and Syriac literature. He is well acquainted with these texts and the thought world of the Ancient Near East. As with the other Kregel handbooks, Taylor walks readers through the exegetical process necessary for understanding and teaching . Chapters one through three provide background, orienting us to apocalyptic literature. Chapter one discusses what apocalyptic is, what are its distinctives, and what we know and don’t know about the Jewish communities which produced it. Chapter two examines major apocalyptic themes in biblical and extrabiblical sources and discusses the characteristics of the literature in more detail (e.g. literary expression, revelatory content, dreams and visions, symbolism, pseudonymous authorship). We see in the apocalyptic literature a developed angelology, dualism, cataclysmic, Divine Judgment and eschatological hope. Chapter three discusses preparing for interpretation (such as understanding metaphor and knowing what linguistic resources and secondary literature are helpful). Chapters four through six describe the exegetical process, and how to preach from these texts, respectively. Taylor focus is on helping exegetes come with the right orientation toward the text. So he helps us attend to the genre and metaphorical language, to look for interpretive clues and a focus on the macrostructure instead of minutia. He also warns us of the pitfalls of ignorance, misplaced certainty, our tendency to manipulate certain details (to make our current experience fit the text, or read the signs of the times)(128-131) In chapter five Taylor walks through an exegetical and homiletic outline for Daniel 7. The final chapter examines sample texts, Daniel 8 and Joel 2:28-3, discussing difficulties, structure, and application. As with the Prophets volume, this book is great for students and working preachers. I have used the Kregel Prophets volume in my own personal study and in communicating about the text. This resource helpfully augments that. I give this book four stars.